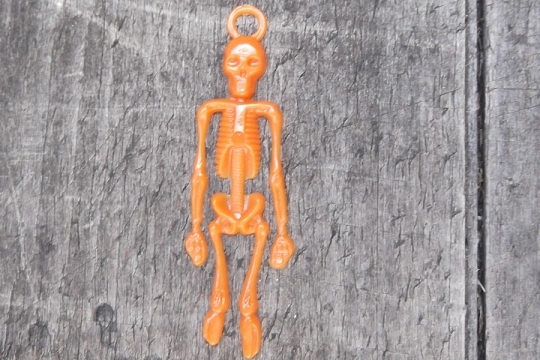 These wonderful hard plastic skeleton charms measure approximate 2 inches tall not including the hanging loop (2-1/4 inches tall with the hanging loop). The detail is quite good in these circa-1950s charms. Make some funky earrings or key rings - or use them for making party favors! Whatever you choose, they will be perfect for your scary Hallowe'en adornments.